What is the most affordable yet safe way to ship fine art across the United States? Right! You need professional art shuttle services offered by reliable art moving companies like Fine Art Shippers! As professional shippers of fine art, we provide the art community with various art moving and shipping options to meet any need and budget. These include white glove art courier services, ground transportation by truck and rail, shipping by air and sea, and numerous multimodal solutions depending on the destination and clients’ requirements. Plus, we also offer different art shuttle options that have proven to be the most cost-effective way to ship fine art and antiques safely and securely across the country. In our previous blog posts, we wrote about our art shuttle New York – Miami, and now we want to tell you more about our art shuttle Miami – Chicago. Our team of experienced art handlers and drivers is fully trained in museum standards for handling art and antiques of any kind. Whether it comes to long-distance or local transportation, you can rely on Fine Art Shippers to move everything from oil paintings and works on paper to sculptures and antique furniture. The same applies to our art shuttle Miami – Chicago. Operated by highly professional staff, it is just a perfect opportunity to safely ship fine art and antiques between these cities, not to mention that it is also the most affordable option suitable for any budget. For our regular art shuttle Miami – Chicago, we use special trucks equipped with “Air Ride” suspension system and climate control maintaining humidity and temperature to ship art and antiques of any kind. So whether it comes to paintings, vintage furniture, large musical instruments, or sculptures, we can deliver any of them to or from Chicago in the safest and most secure way possible. Besides, our art shuttle Miami – Chicago is also an excellent option to ship a whole collection of art without spending a fortune. Thereby, if you are looking for the most affordable way to ship fine art and antiques, look no further as our art shuttle Miami – Chicago is exactly what you need! Plus, we additionally offer many other useful services, including art packing, crating, storage, and installation, which makes Fine Art Shippers an all-in-one-solution to any art shipping task. 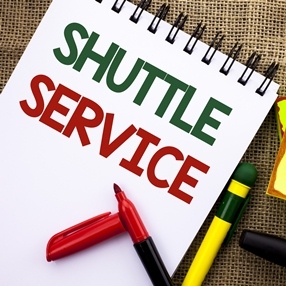 Call us now for more information about our art shuttles and other services!